Let The Experts At Rank It Do It For You! 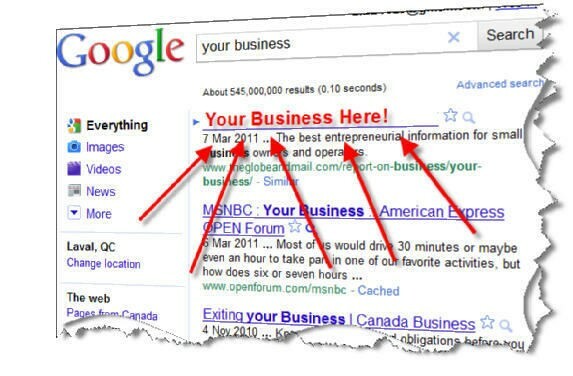 Your website just will not rank and you understand that you require SEO and website ranking help. If you feel as if you need some help in this area so you can actually have the time to pay attention to your core business then you have to contact Rank It today. If you need help learning how to get to the top of google search results here in Canada then you have arrived at the right place. Many people today (and discount SEO companies) pay for links as a shortcut way to climb the rankings. This is called a shortcut as before long Google will figure this out and kick your site out of the index. The next step is to file your website to Google as a re-inclusion request. Trust me, this can takes many month’s or even years to get back in, if at all possible. Most local business’s that hire cheap SEO companies and fall victim to this peril end up having to buy a brand new site and new domain name and start over. 1 – Ensure you’ve got a mobile friendly web website. 2- Ensure that all the content is unique and not just copied from elsewhere. 3- Contact Rank It and let the experts do what they do best!